Members can make much more of membership when they pick up the phone and call their fellow manufacturers. 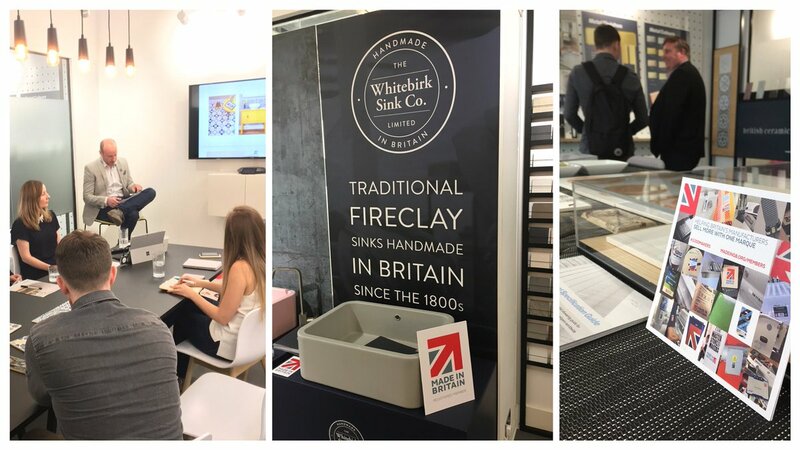 Tile manufacturers BCT approached Made in Britain with a plan to offer manufacturers in the high-end interiors, specification and design sectors, the chance to present their products with them, at their London Hub during Clerkenwell Design Week. Premium shower enclosure manufacturer, Roman Ltd, hand-made designer fabrics makers, March & May, Whitebirk Sink Co makers Darwen Terracotta and The London Chocolate Co all joined forces to celebrate British manufacturing and demonstrate how the sector is thriving in an uncertain economic climate. “The added PR value of a demonstration or a new product launch gives the journalists, designers and specifiers even more reasons to spend more time at the BCT Hub. The more time they are here, the more we can showcase our new specification ranges and work on ideas for the future design and architectural trends." “We’re building the reputation of our brand and our products through trade shows and showing our customers exactly how we make our products. The opportunity to do a live demonstration for the media and designers in such a key location during CDW was really valuable and a lot of fun." "There’s never been a more compelling time to buy British. Being alongside other members making other products adds to our message of British made being of the highest quality, at the right price and with a smaller carbon footprint. Why wait 16 weeks when you can buy from Roman in the UK, and have the shower enclosure designed, made, delivered and installed in one month." If you would like to host an event or invite other members to your premises, just contact us on membership@madeingb.org and we’ll help you find the right partners in membership to make your event have as much impact on sales, marketing and PR as possible.